You should dig an 18-inch deep hole and backfill it about halfway with gravel because this enhances drainage around the light. Then insert the extra cable into the hole, while leaving enough cord length to connect it to the power. Insert the plastic housing for the light and add gravel around the unit to keep it stable. Many lights come with an assortment of lenses, so insert the lens you’ll use over the lamp. Replace the lid, cover the power cord with mulch, and connect the cord. Make adjustments to the light when necessary. Since doing this for your entire yard can be time-consuming, as a patio design expert we recommend asking a professional to do this installation for you. Light emitting diodes are frequently used to light up laptops and car dashboards. They are primarily used for style, design, and effect. 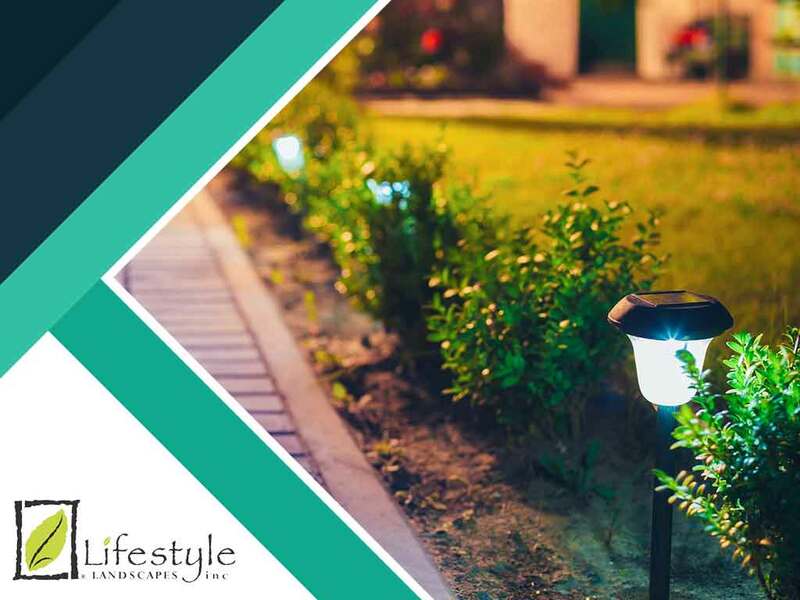 If you want a lot of bright light for your garden, choose a reflector light instead. A reflector light has a stronger 35-watt lamp compared with an LED light’s one-watt lamp. Low-voltage lighting is also available. This lighting type uses only about 12 volts, eliminating deep trenches to contain the wiring. You can also try installing mounting lights around plants. However, remember that mounting the light directly onto a tree will eventually cause the tree to grow around the light fixture. This is because driving screws or nails into a growing tree will trigger a healing response from the tree. Instead of using nails, you can use a strap device instead. To avoid causing glare issues, consider using mounting lights to light things above the light. This can showcase the structure of the tree. We are an award-winning outdoor living expert with over a decade of experience. We use custom-designed and custom-built materials and we deliver results that exceed our customers’ expectations. Call us at (206) 899-1444 to learn more about our services or to schedule a professional consultation. We serve Seattle and nearby areas.